Can I use coffee pods in the Keurig machine? I have seen a little bit of information claiming that you can use the pods in the Keurig machine. I am wondering how you can do this? The pods are on sale in my local store and they have an espresso with froth I wanted to try. Any suggestions? The answer is no. As you know, Keurig brewers take K-Cups, whereas coffee pod brewers use pods. The thing is, the brewing chambers in each kind of brewer are totally different. In your Keurig brewer, both the top and bottom of each K-cup is pierced when you use it, and the water is pumped, under pressure, into the K-Cup itself. The K-cup contains both the ground coffee and the filter. In a coffee pod brewer the water is sprayed over the full surface of the coffee pod. So...if you did stick a coffee pod in your Keurig brewing chamber (don't), the water wouldn't be sprayed across the surface of the pod in the same way. So you would end up with a weak, yukky brew. Update: See comments below for information on using the Perfect Pod Holster , which does enable you to use coffee pods in a K-Cup brewer. As for the espresso with froth…unless you are using a single serve espresso machine, rather than a single serve coffee maker, the best you will get is a "faux espresso", with a froth and not a crema. 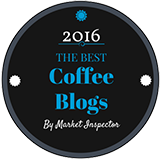 You can learn more about this on our single cup coffee brewers page. Comments for Can I use coffee pods in a Keurig brewer? I just bought Chock full o' Nuts pods by mistake. They were on sale and stacked at the end of the isle where Shoprite often sells K-Cups on sale. I put them in the Keurig and the coffee was delicious. Yukky? Are you a shill for Keurig cups? Seems like. Pods can be used in a K style brewer without a problem. 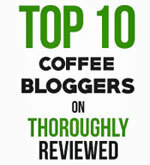 I've been using pods, not K-cups, in my Keurig for years. They work flawlessly. (My Keurig is an older model. Not sure if that might make a difference). I own a Hamilton Beach Flex Brew & thankfully can use any version I desire, whether it be brewing a full potential, or using a single serve Kcup, pod, even bagged or fresh grounds 2 my specified desired amount! Have even learned that it also perfectly brews tha Stanger new nespresso capsuleso I just learned about! I have also used the frothy pods you are referring too & they are amazing! 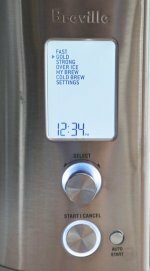 Personally I absolutely adore the fact that I never have limitations with my Hamilton Beach Flexible Brew & an capable of having a variety of coffee selections at my disposal within one machine & not limited to just a select variety of flavors & limitations in machines abilities like with every expensive Krug coffee maker I have ever seen! As long as it says on the box that they are compatible with the Keurig, you can most certanly use them. We found this post and then tried it, it worked fine for us. We were using a slightly older Keurig, and the pod used was relatively shorter than the K-cups. It seems that as long as the filter mesh at the bottom of the pod isn't punctured, it should work fine. Puncturing the filter would cause grounds to leak into the cup. I brewed a smaller cup so as not to have watered down coffee, but it would've worked fine with a larger cup because mine turned out a bit stronger than I usually prefer. I have been using the holster and making my own pods for several years and it works well. Not easy to find the best filter papers at the right price. One brand was a flat round filter with cover that had to be shaped with a "pod maker" and an iron was used to seal the pod. This works very well and the filter were around eight cents each but hard to find. Another was one that was sold like an envelope and it could be folded over or sealed with an iron. These are also about eight cents and also hard to find. Last resort is the latest one out, that I have not yet tried and it is "preformed pod and cover" which also fit the pod holster. Why the "leader" of this board is saying "don't use them" or "they don't work" has not expended enough effort to find out. I have not used commercial pods that contain coffee but they should work. The key to the "pod" system when using the "holster" is that water enters the pod from the top and exits from the bottom, forcing the water through the pod. I never liked any of the "holders' that have screens on the sides, as it allows water to NOT penetrate the entire pod, filter paper, or screen. Works good is you think that costs half the price i use senseo pods Walmart 4.99 and use the adaptor that came with machine coffee is a litle weak but tasty ! Kienna brewers have similar pods, and they have a K-Cup adapter that for the most part works extremely well, as long as you follow the directions on the box precisely. If you loosen the pod too much on your way to putting it in the pod adapter, you'll end up just making coffee-flavoured tea. So far, in about 25 uses, I've brewed 3 bad cups. The rest have been consistent. Senseo pods are cheaper then K-cup and the perfect pod holder works well with them. the downside, don't double brew. 6oz or so you're good per pod. if you go with "other" pods, odds are extremely high they have more coffee in them (hint: check the grams) the more grams per pod, the stronger or larger a brew you can make. either way, i use k-kups, and pods in my keurig all the time. I stayed in a hotel that had single cup pods in the rooms to use with the single cup coffee pots provided. I took two home to try in my Keurig. I simply placed one into my Keurig to see if it would work. I had no problem brewing a delicious cup of coffee by just tossing the pod in. Given they are half the price of K-Cups, I will be purchasing them to use in my Keurig. If using the Pod Holster or the My K-Cup adapter for the Keurig Home brewers, you can use pods with your system. On the My K-Cup filter you have to pour the coffee out of the filter paper pods right into the adapter. If you dont you are double filtering and loose the extraction. This might sound like more work, but you have the variety, cost savings and less plastic waste. If you are going to edit a board like this then at least do the detective work before you say it won't work. I have a "perfect pos holster" it it turns a pod into a K cup and makes a perfect cup of coffee if you use good 55mm pods. Here is a link for the Perfect Pod Holster at Amazon. It has many positive reviews and a few negative. I'm about to buy one. Coffee pods do not work well at all even with the 'My K-Cup' accessory fo Keurig Brewers. I have tried the Perfect Pod Holster with the Keurig with 2 Senseo pods and it works well;However it will not work with the Senseo Cappuccino pods. I understand that the pods have to be 55m or greater (and I understand that it will not workwith 'discs',Tassimo,etc. but I'm confused about other pods. In particular what are 'flat-top' pods and will they work in the 'Perfect Pod Holster' with the Keurig brewer? There is a device called "Perfect Pod Holster" which claims to be able to brew a cup of joe with a 55mm pod. You place the pod in the holster, holster in the Keurig then brew. It is available on Ebay for about $ 12.95 + shipping. Editor's Note: I don't think that would work. The K-Cup holder is really not the same as a pod holder at all. Totally different design.